Last week I attended my first ever races day. 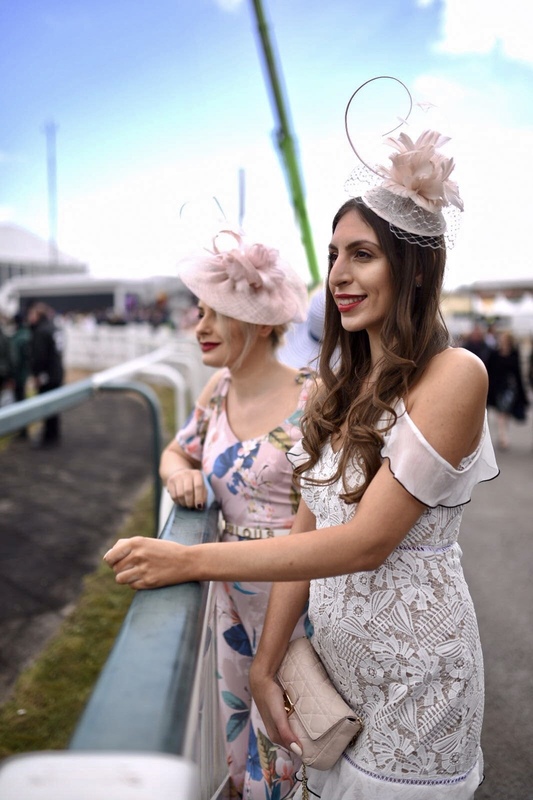 I headed to The Grand National Ladies Day at Aintree Racecourse and as it was my first time I decided to go all out. I'm not much of a gambler, however I loved watching the excitement of those around me cheering on their horses. 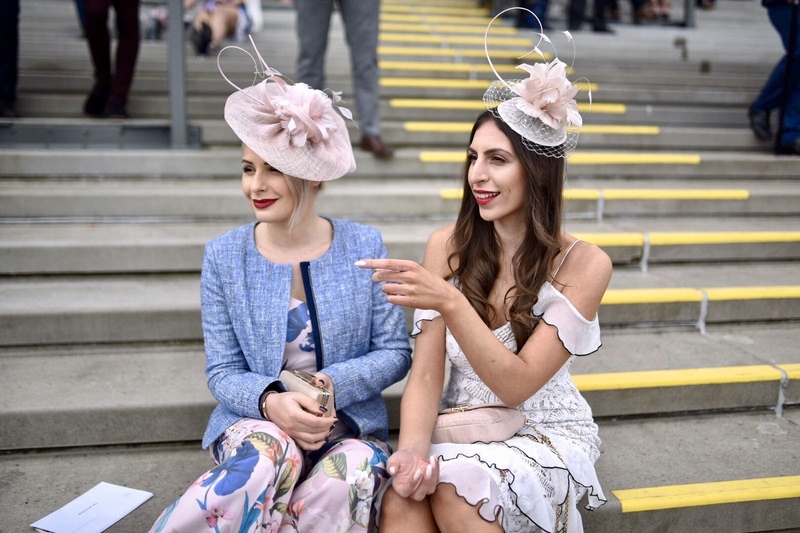 And of course Ladies Day is all about the fashion. Although I get the opportunity to dress up quite often, I've never had the chance to wear such fancy hats or fascinators, and I've always wanted to! 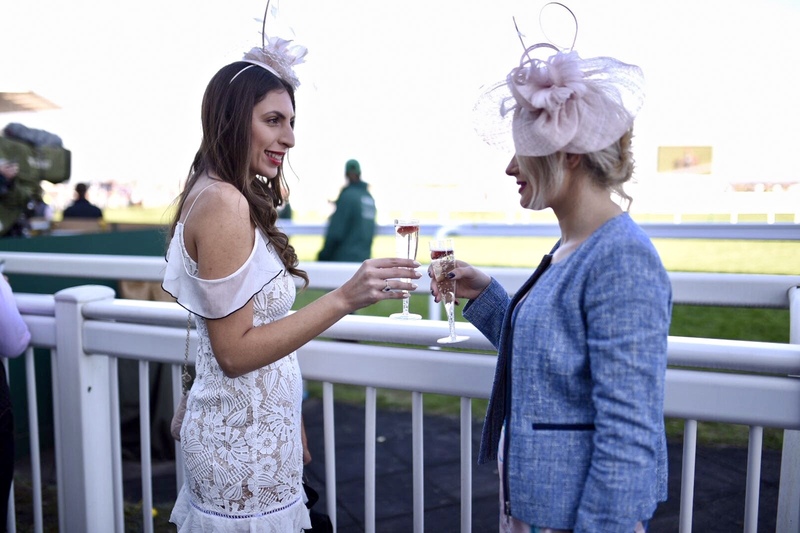 Although there is a dress code, Grand National is not as restrictive as other events. 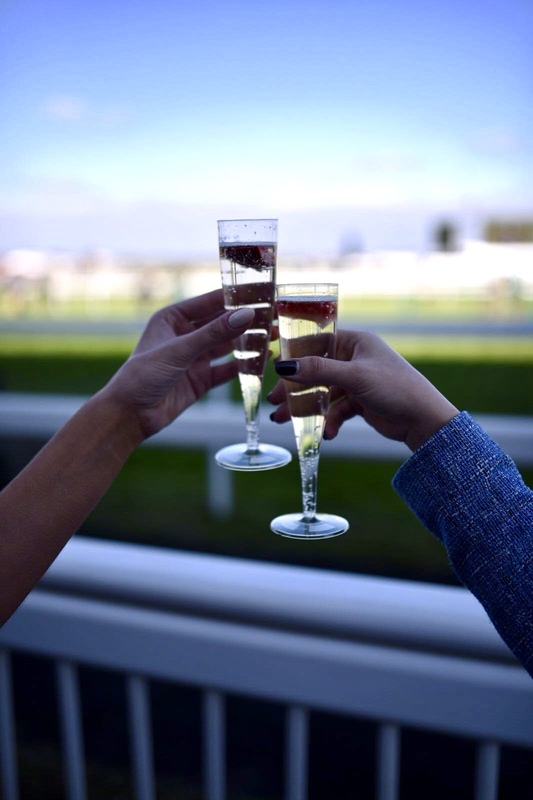 I was kindly invited by Aintree and The Blogger Programme to work on the Fabulous Friday campaign. And that's exactly what it was. 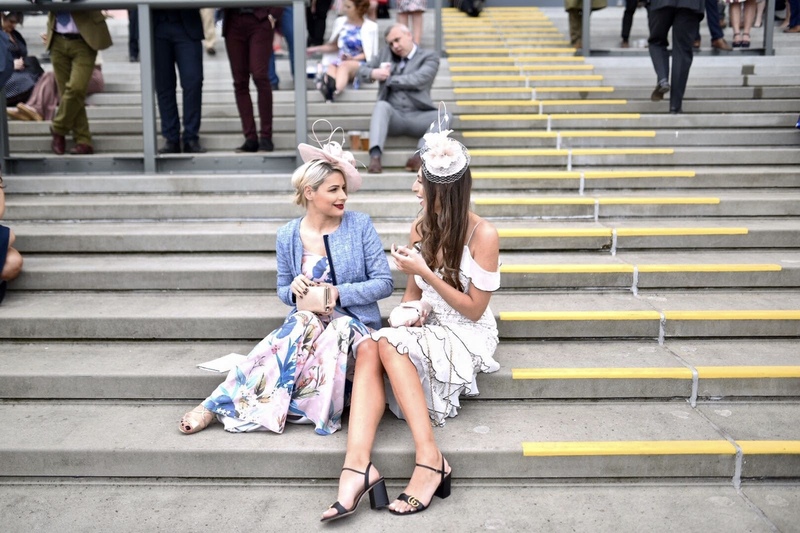 I headed down with my friend Elena the blogger behind Eat Wear Travel and a few others to enjoy a day at the races. First things first, we decided to grab a glass of bubbly to really get into the spirit. 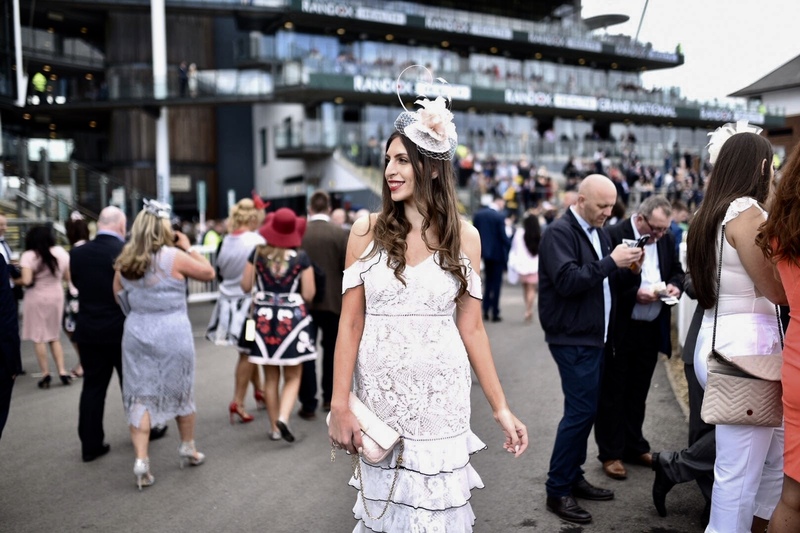 After watching a few of the races we couldn't help but notice how beautiful the the guests looked. They went all out with their dresses matching their outfits to their headpieces. I was surprised with the amount of colour around. A lot of the females were wearing bright colours, but a deep blue was running throughout the females and the men. Although Friday is for the ladies, it was clear that a lot of the men didn't want to be outdone by the ladies; they were all looking very dapper. I don't think we saw anyone who did not take pride in their outfit that day. The atmosphere as a whole was truly something I've never experienced before. 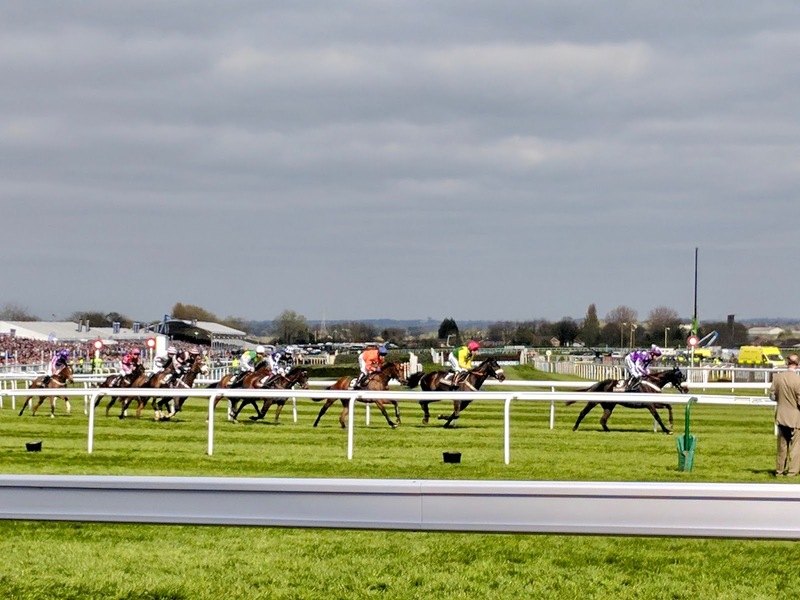 It was so wonderful seeing everyone cheer on the horses and the whole of Aintree had a massive buzz around. It's also fascinating to note that as soon as the race ends, a lot of people disappear, either to get their winnings, place a bet on the next race or more commonly, to get another drink. As someone who thought the races was not her scene, I can assure you have I changed my mind, I loved the whole experience from picking my outfit to the atmosphere. It's truly a great day out. 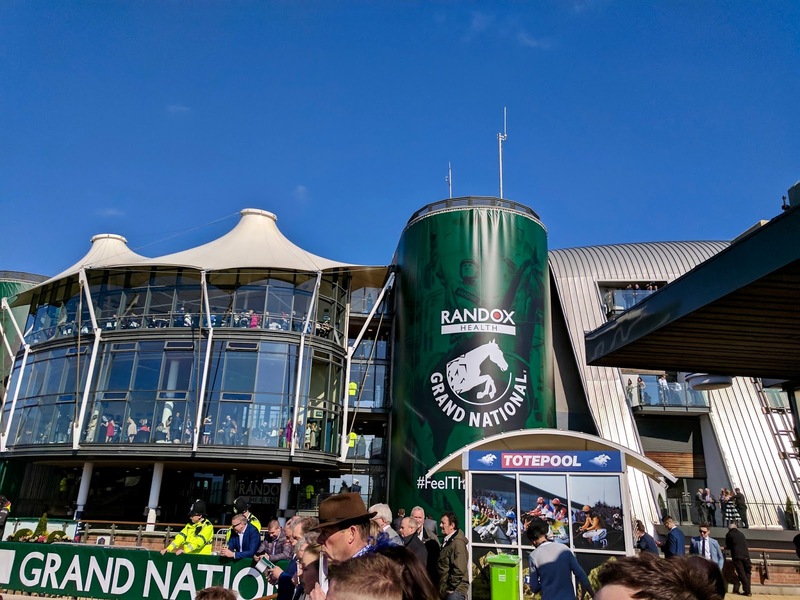 Have you ever been the The Grand National before?